Age range 5 to 7Hidden in the sand dunes bordering a dusty, 1960s pearling town is a very special tree. 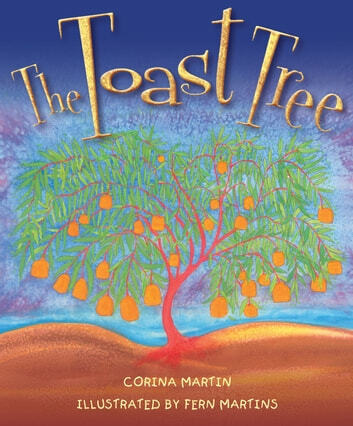 Every day, Ella and Mia’s grandpa comes home from work with a treat from the tree - the best-tasting toast in the world.Every night, grandpa tells the girls another fantastical tale about the toast tree, with its bright green leaves and orange trunk, that only grows in the dunes. Ella and Mia search high and low for the tree, laden with squares of golden-brown toast, but they can never find it. 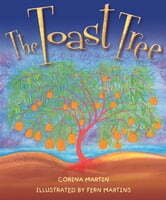 Based on a true story, The Toast Tree is about family, and the search for magic through the power of a child’s imagination, as well as the ability to believe in the impossible. The book’s beautiful illustrations evocatively capture both the mystical quality of Grandpa’s stories and the fondly-remembered simple life of a bygone era.The Toast Tree will especially appeal to every child that has ever dreamed of having a special tree bearing their favourite food!